The Clean Water Act protects bodies of water across the country, like those in our National Parks. Yellowstone National Park photo by Flickr user Jeff Gunn. This Thursday, we celebrate the 40th anniversary of the Clean Water Act. This landmark act has ensured, and will continue to ensure, that America’s waters are fishable, swimmable, and drinkable. 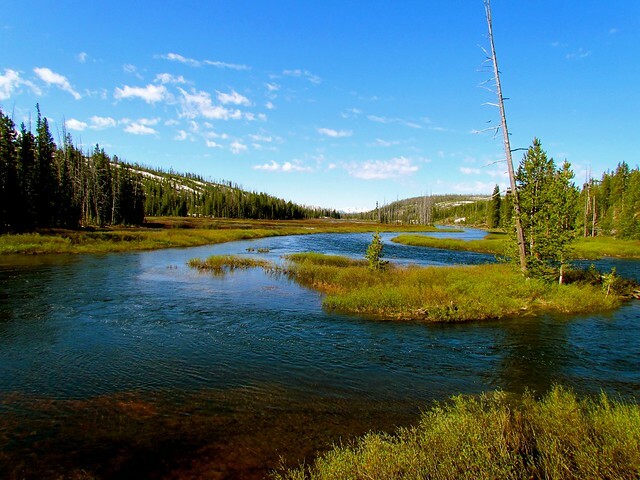 Since its inception, the Clean Water Act has logged numerous successes: it has prevented pollution by providing assistance to publicly-owned wastewater treatment facilities, and maintaining the integrity of wetlands. Facebook: This week change you profile picture to the image below and share it with your friends. Remind people that October, 18th we celebrate four decades of the Clean Water Act and the historic results this keystone legislation has achieved: healthier water to drink; cleaner streams, rivers and lakes in which to swim, fish and play; and dramatically lower rates of natural wetland loss. Twitter: Tweet a message showing your support for clean water. Feel free to use some of the samples we have provided below or create your own. * When tweeting be sure to use #CleanWaterAct. For 40 years the #CleanWaterAct has protected America’s waters and ensured that they are fishable, drinkable, and swimmable. Thank you! For 40 years, @EPAgov has worked to restore #CleanWater and protect the #CleanWaterAct. Let’s keep it that way. Always use #CleanWaterAct in your tweets. If you care about clean water and would like future generations to have fishable, swimmable and drinkable waters, take action and help restore clean water today!